FOP President Dean Angelo . . . that is, former FOP president Dean Angelo, the former president not acting as a spokesman for the FOP, appeared on WTTW this week to discuss the Jason Van Dyke trial and other union issues with interviewer Carol Marin and fellow guest, journalist Jamie Kalven. It was in the middle of the Jason Van Dyke trial when word began reverberating through the building that former Chicago Police commander Jon Burge, the commander who had become the poster boy for police torture in Chicago, had passed away after a long illness. What a revelation Angelo’s statements were. Where did those sentiments come from? Some people, like the current police officers or those who worked during the same era as Burge, might wonder: Where were such statements from Angelo when he was president of the FOP? They might wonder: If Angelo felt that Burge “didn’t get a fair shake,” why wait until after his presidency to inform the media and the public of those opinions? What about the three years of his one-term presidency? Imagine, for example, if Angelo or anyone in his administration had stood up at the city council meeting in 2015 when the city announced its Burge reparations package by a unanimous vote of 50–0. What an opportunity for Angelo to stand up and challenge G. Flint Taylor from the People’s Law Office in this, the culmination of the PLO’s thirty-year crusade against Burge, his men, and the Chicago Police Department, a reparations package that would no doubt bolster complaints and lawsuits against Chicago Police officers for years, if not decades, to come. Taylor appeared with Darrell Cannon, convicted of two murders, who claimed he was the victim of police coercion by Burge’s men in the course of one of Cannon’s arrests for murder. In a tragic turn of events, Cannon would be awarded $100,000 as one of the first men to benefit from “reparations” for supposed abuse. Shortly thereafter, Cannon would tell detectives he found his brother murdered in the kitchen of their home on the South Side, a murder that still remains unsolved. But alas, throughout all this, Angelo, as president of the FOP, made no announcements about Burge being misunderstood, no statements about Burge being a good cop. Not one word, even though part of the reparations package included the stipulation that the Burge mythology would be taught in Chicago’s Public Schools. That’s right, not a word from Angelo or anyone in his administration, even though the reparations package would make Taylor’s Burge mythology orthodox curriculum for possibly generations to come of Chicago students, including those who are children of Chicago Police officers. Hasn’t the history already been determined by the Burge reparations package in large part because Angelo never challenged it? Just what the hell is Angelo talking about? But not everyone was silent about the reparations package. 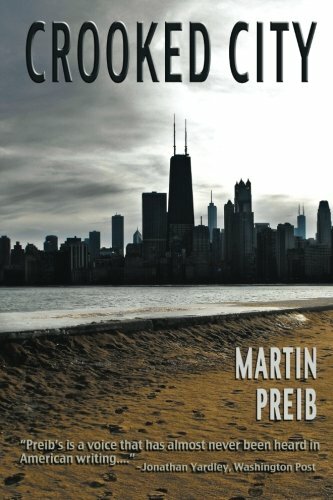 Crooked City writer Martin Preib got ahold of Burge as the reparations package was taking shape and got Burge’s response, the first time Burge responded to the allegations against him in years. Evidence is slowly emerging that clearly shows what happened to the dedicated Chicago Police Detectives who fought, as best we could, the worst, most violent predators on the South Side of Chicago. To understand, all one has to do is review the long record of unethical criminal activity exhibited by academics and students at Northwestern University, particularly in the case of Anthony Porter, a man obviously guilty of two murders, but released from custody after an “investigation” conducted by NU professor David Protess and his students. There has never been a case with more blatant Subornation of Perjury than when they framed an innocent man, Alstory Simon, for the crime committed by Porter. The chief spokesmen for G. Flint Taylor’s reparations campaign are Darrell Cannon and Anthony Holmes. Cannon is a former El Rukn General who has been convicted of three separate murders in his long career, pleading guilty to the last one after cutting a deal for “time served.” His first murder conviction was as a juvenile, so the police can’t mention it, but I can. He still stands convicted of all three murders. . . . The media’s long silence on these activities makes them complicit in the fraud being perpetrated on Chicago and the citizenry. 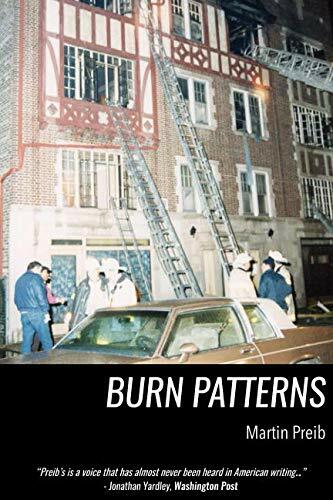 When the true evidence finally rules the day and the record is set straight, the people who conspired to free a man like Madison Hobley, who was awarded six million dollars by the City after he burned seven people to death, including his wife and infant son, will have to pay the piper. At that time, I believe I and all the outstanding men and women I had the privilege of working with, as well as the Chicago Police Department itself, will be vindicated. The media response was swift. Burge’s statement was picked up all over the country, his claims quoted throughout the city. And when Obama’s Department of Justice announced they were investigating the Chicago Police Department for a pattern of violating constitutional rights, this might have been a good time for Angelo to point out that many police officers, including Burge, according to Angelo, do not get a “fair shake.” But Angelo didn’t. Instead, Angelo flew out to Washington and asked Obama’s DOJ how he could cooperate with the investigation, so much so that he even encouraged members to speak to the DOJ without lawyers present. This politically motivated DOJ investigation, later condemned by Attorney General Jeff Sessions, has spelled catastrophe for Chicago Police officers, forming the basis for the consent decree now being finalized. And then there is the Illinois Torture Inquiry and Relief Commission (TIRC) that was formed to investigate claims of torture by Burge and his men. Later it was expanded to include any inmate in Cook County who claims they were coerced into confessing. TIRC expanded powerfully during the three-year reign of Angelo, including setting in motion the decision that would lead to the freeing of convicted cop killer Jackie Wilson for the 1982 slayings of two police officers. Unfortunately, Angelo never went before this commission and let them know his feelings about Jon Burge not “getting a fair shake.” Not once. Even as dozens of retired detectives now find themselves being called back from their retirement havens in Arizona and Florida to answer questions about cases from thirty years ago, Angelo has never addressed TIRC. Not once. Too bad Angelo never stood on the floor of the Thompson Center in front of a phalanx of cameras to comment on Burge in the wake of this commission’s decisions. 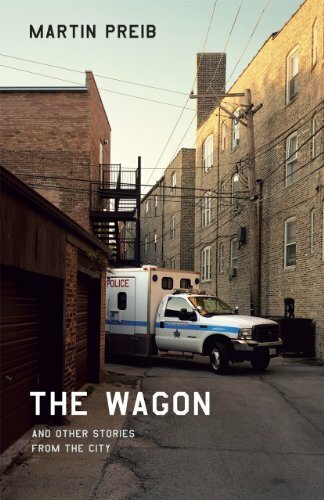 While the FOP under Dean Angelo remained silent, Crooked City writer Martin Preib has been writing about TIRC and the threat it poses to the criminal justice system for four years. He has interviewed family members of victims, written scores of articles, contacted public officials, and fought at the FOP to challenge the constitutionality of TIRC. Goose eggs. Nada. Nunca. Zilch. Zippo . . . But at least Angelo finally found his voice on the first floor of 26th and California and finally declared his true feelings about the Jon Burge legacy. It took more than six years, but at least Angelo finally stated his true opinion. Would have been nice if he echoed these thoughts in his interview on WTTW, in front of two journalists who have done so much damage to FOP members and the FOP itself. But you just can’t tell when, where, or why Dean Angelo will find his elusive voice.